The staff at KleinLipo is dedicated to providing excellent patient care, best results, and fastest recovery with Dr. Klein’s tumescent technique. Our Capistrano Surgicenter is accredited by The Accreditation Association for Ambulatory Health Care (AAAHC) for Cosmetic Surgery and Dermatology services and has achieved this accreditation for over 10 years. 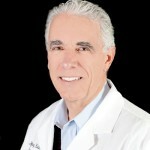 Jeffrey A. Klein M.D. 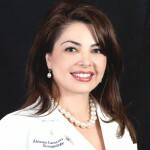 is a dermatologic surgeon practicing in San Juan Capistrano and Newport Beach in Orange County, California. Dr. Klein is listed a Diplomat for the American Board of Dermatology, the American Board of Internal Medicine, and the American Board of Cosmetic Surgery. In addition to Dr. Klein has completed a National Institute of Health Research Fellowship in Clinical Pharmacology, as well as advanced degrees in mathematics and biostatistics. 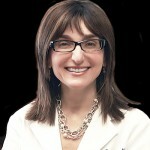 Norma Kassardjian, MD joined Dr. Jeffrey Klein’s practice in 1994 after completing her dermatologic training and completing a fellowship in Mohs Micrographic Surgery at Loma Linda University. She also studied the art of Tumescent Liposuction under Dr. Klein and trained at the Beckman Laser Institute on the latest laser technology. Atoussa Cameron NP-BC – Atoussa holds dual certification (AANP and ANCC) and her education together with years of experience allow her to provide excellent patient care in both areas of clinical and cosmetic dermatology. Michele Horwich, RN – Michele Horwich is a Registered Nurse that has worked alongside Dr. Jeffrey Klein and Dr. NormaKassardjian, for over 25 years. 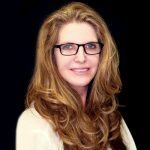 Michele has extensive knowledge in tumescent local anesthesia (TLA) injection techniques and is dedicated to maintaining patient safety and the highest standards of care.